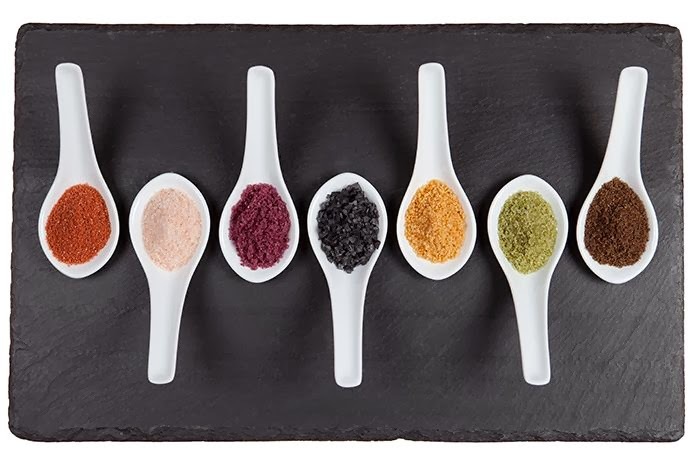 Anyone who thinks that salt just tastes "salty" will be in for a surprise as there are so many subtle variations between natural salts from different locations and climates. The best approach is to do a side-by-side comparison. and fine, moist Fleur de Sel for Touch. and 4-5 different smoked salts to sniff. Blindfolding is optional! Choose foods that are salt-free so their natural taste doesn't interfere. Try bread with unsalted butter, fruit (yes!) and vegetables such as melon or cucumber, creamy cheeses such as bocconcini, ricotta or mascarpone. 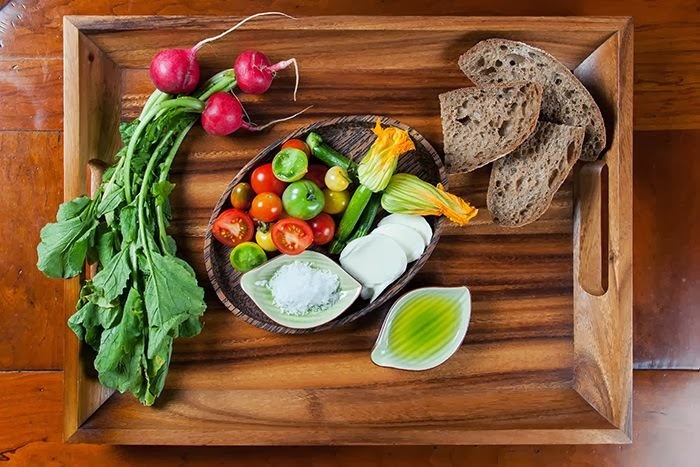 You might want to lay out individual plates, or a shared platter, with rows of small slices of hard-boiled egg, cherry tomatoes, cucumber, bocconcini, and little buttered bread squares. Cleanse your palate between each tasting by eating plain unsalted water crackers and sipping water with a little added lemon juice. Put 2 types of salt on one or more types of food to compare the difference. The tip of your tongue is most receptive to saltiness. It's best to do a tasting when your nose is clear, as your sense of smell greatly affects your sense of taste. I suggest you leave the numbing Szechuan Pepper Salt out of tasting sessions, or at least leave it until last! I'd love to hear from you if you plan to, or have conducted, a tasting. 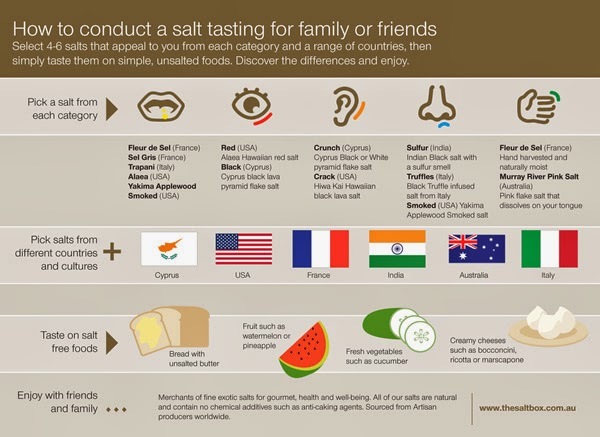 Which foods and salt combinations did you try? Which did you like most and which did you find most surprising?